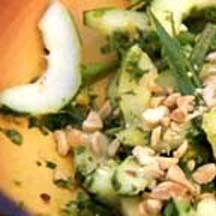 CooksRecipes has quality, kitchen-tested recipes for delicious salads featuring cucumber. 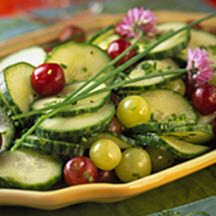 This cool, tangy salad featuring cucumbers, grapes and green onion will put a little kick into those hot summer nights. A refreshing salad perfect for the warm summer months. 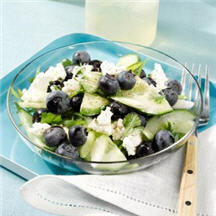 The fresh flavors of juicy blueberries and cool, crisp cucumber combine to make a salad that tastes as light and refreshing as it looks.